Falling in love is not voluntary action. Though you have a list of qualities in your mind for how you would like your partner to be, when the time comes no check list is ever checked. You fall in love anyway and while some fall in love others fall prey! Yes prey to the Narcissist. 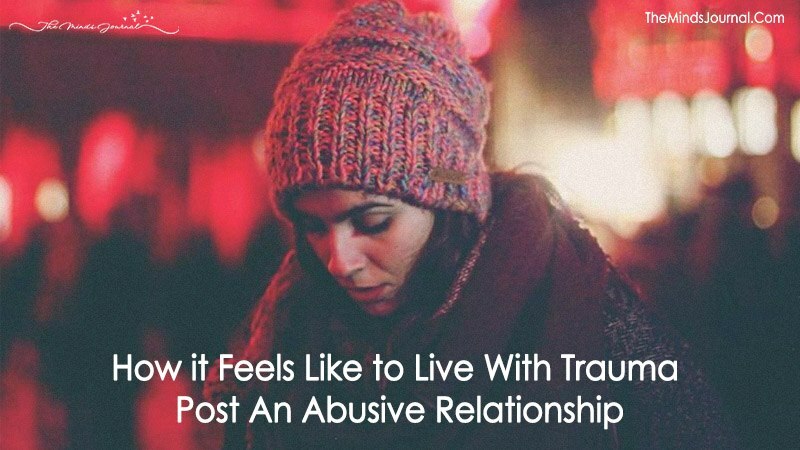 Being in a relationship with someone who has NPD (Narcissistic Personality Disorder) you are subjected to various emotional, physical and mental abuses. Living in terror and walking on eggshells in fear of triggering them, you are trapped in the 7th circle of hell. Now you might wonder why anyone would choose to live in such pain and fear. That’s the trick of narcissist, they just don’t let you realize that you’re being abused and by the time you realize this you’re too broken and emotionally drained. You won’t even know you are being abused because the abuses are covert, slowly numbing you to a point where you lose all the self confidence and ability to judge what’s better for you. You won’t be able to take important life decisions and you’re rendered incapable to look for help or escape. It takes a lot of effort and a lot of time to pull yourself out of this abyss and by the time you think you’re finally at the shore away from the depths of hell, the real nightmare begins. Shivering even to touch of wind, such terrified and weak you’ve become. The flashback of tortures and torments almost pushes you to blackout. The trauma and stress leads you to depression, more precisely C-PTSD (complex post traumatic stress disorder). C-PTSD is a result of persistent psychological trauma in an environment where the victim believes they are powerless and that there is no escape. Even after the leaving the relationship, for many months the flashback of the events haunt you. You struggle to sleep at night which adds to your depression and even at the times when you can sleep you’re woken up trembling by the experience of some haunting recurring dream. Every time you wake up you feel tired, you don’t want to sleep but you don’t to wake either. You’re tired of lying on bed yet you don’t want to leave the bed. You are so terrified that even the slightest change in surrounding would scare you. On occurrence of any event or object that reminds you of the trauma and torture you feel dizzy and fatigued, your fists clutch and your heart starts racing. Your concentration abilities and memory power is severely affected. You get a hard time trying to memories long phrases and focus on certain tasks. You’re in constant anxiety and even small things starts to upset you. Appetite is lost and you have no motivation, this is time when suicidal thoughts start flooding in. You lose your faith in friendship, romance, and relationships. It gets very difficult to trust people and you’re always insecure about their hidden motives behind their actions. You reach a point where you fear none but the man in the mirror- you! You shutdown yourself. The confidence and will to face the world is gone, you don’t want to step outside the house, you’re too scared to open up and connect with people. You fear they might see the pain in your eyes.